Delft University of Technology, (Technische Universiteit Delft in Dutch) in Delft, the Netherlands, is the largest and most comprehensive technical university in the Netherlands, with over 13,000 students and 2,100 scientists (including 200 professors). It is a member of the IDEA League. Although the University only received its current name in 1986, it has been providing technical education for 165 years. 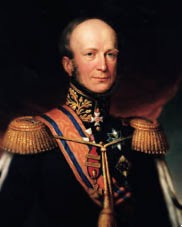 On January 8, 1842, King Willem II founded the 'Royal Academy for the education of civilian engineers, for serving both nation and industry, and of apprentices for trade'. The Academy also educated civil servants for the colonies and revenue officers of the Dutch East Indies. An Act passed on May 2, 1863, imposing regulations on technical education as well as bringing it under the influence of the rules applying to secondary education. Then, on the 20th of June, 1864, a Royal Decree was issued, ordering that the Royal Academy in Delft be disbanded in order to make way for a new 'Polytechnic School'. The School went on to educate architects, and engineers in the fields of civil works, shipbuilding, mechanical engineering and mining. On May 22, 1905, an Act was passed, acknowledging the academic level of the School's technical education - it became a 'Technische Hogeschool', or an 'Institute of Technology'. Queen Wilhelmina attended the Institute's official opening ceremony on July 10, 1905. The Institute's first Rector Magnificus was the professor of hydraulic engineering ir. J. Kraus. The Institute was granted corporate rights by an Act passed on June 7, 1956. 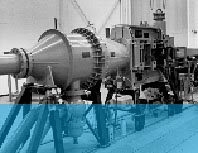 It was an Act which took effect on 1st September, 1986, that officially transformed the Institute of Technology into Delft University of Technology, also known as 'TU Delft'. All undergraduate programs lead to a B.Sc. degree. The university offers the following graduate programs (sorted by faculty). All programs lead to a M.Sc. degree.